This is such a sophisticated and stylish jacket made with 100% linen. 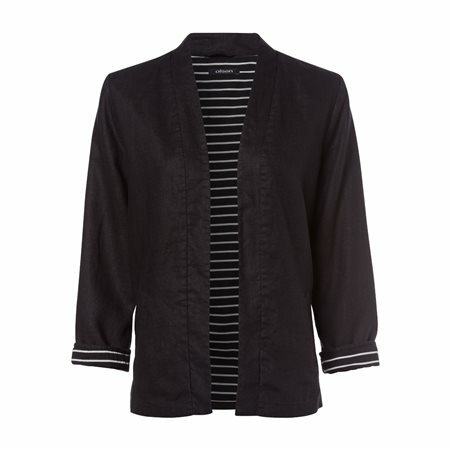 This jacket contains a waterfall front meaning it sits open showing its contrasting striped lining within. This jackets also contains two slit pockets at each side making it practical and easy to match with a number of tops.